Time, ah, that strange thing. Past time, which could be yesterday or fifty years ago, present time which we bumble through, and future time which fascinates and scares us. But what if time wasn’t quite what we think it is? 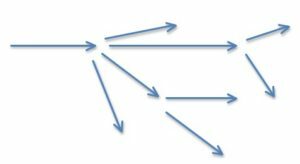 What if we had made different choices at various points in our lives and our personal timeline had gone off in quite a different one from the one we’re in now? 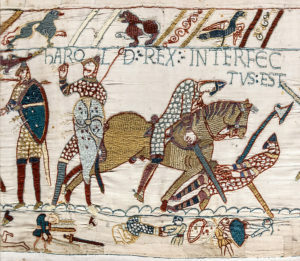 On a grander scale, what if William the Conqueror hadn’t beaten Harold in 1066? Or Elizabeth I had married and had children? What if a piece of the Roman Empire had survived into the modern age? Exploring ‘what ifs’ of history lies at the core of alternate history. Its two parents, history and science fiction, give a fiction writer the opportunity to take established history and speculate. Robert Harris did it in Fatherland, Kingsley Amis in The Alteration, Michael Chabon in The Yiddish Policemen’s Union. Tales like Game of Thrones, Jonathan Strange and Mr Norrell and Naomi Novak’s Temeraire series are, however, historical fantasy rather than alternate history. Why? Don’t they give an alternative version of the world as it could have been? Well, alternat(iv)e history (“althist”) has a definite framework with three elements. Firstly, there has to be a trigger point when things changed. It could be “no arrow in the eye” for Harold (if that ever did happen! ), or William the Conqueror not surviving his perilous childhood and youth. It could be a decision made in a Tudor council one stormy day when an essential person didn’t turn up to sway that decision because his horse stumbled in the mud, or as with the Roma Novans, when Christian emperor Theodosius issued the last anti-pagan edict, making worship of the old gods a capital offence. This precise moment of a change from the standard timeline is called the ‘point of divergence’ in alternative history. Next, we need to know the consequences of that change, the “what happened next”. The change will have affected not just the person, but their family, community, town, country, continent and even the rest of the world – the “butterfly effect“. Lastly, we need to know how things work in this new timeline. Do people have the same technology, how advanced or backward is their transport, what’s their standard of living, their law and order system, their culture and arts? Are ideas transmitted quickly or slowly, what part, if any, does religion play? Oh, and althist proper isn’t steampunk, doesn’t have dragons, magic swords, spaceships, aliens or time travel. Neither is there any going back, i.e. temporal reversal, nor waking up and “it’s all a dream”. Once on the alternative timeline, you stay on it. 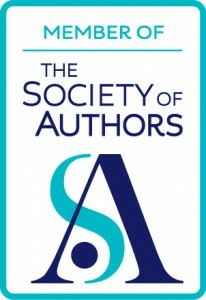 For fiction writers, this framework is a dream, but there are pitfalls. The world they build must be both plausible and consistent in order to engage the reader and gain their trust. Although Harry Potter is more fantasy or perhaps a “secret history”, when people asked J K Rowling about her magical world, she revealed that she had many notebooks crammed with every possible detail. In any speculative fiction you have to have it all worked out before you tap the first key. Unless you are writing a pastiche, skit or just for fun, you have to do your research. This is particularly important around the point of divergence; it’s your jumping off point, the last documented point in time when you know (to the best of your research) how things were in the world. I researched the end of the fourth century AD until my eyes bled as this was the time of the society and environment that were going to colour the whole Roma Nova series. The Rome of AD 395 was a very different Rome from that of Caesar (d. 44 BC), Vespasian (d. AD 79), Marcus Aurelius (d. AD 180) or even Diocletian (d. AD 305). There has to be a reason for the point of divergence and writers must convey this without flinging a load of facts at the reader in one go – the infamous ‘info dump’. People in real life refer back to historical events, whether it’s parents or grandparents talking about ‘the war’, people seeing poppies on television and thinking about how Remembrance Day started, or this year, commemorating the Battle of Hastings in 1066. 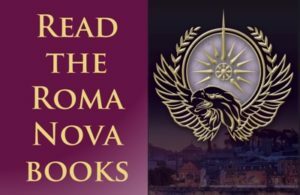 In the Roma Nova books, people refer back to the founding legends, the Great Rebellion, the legal and social revolution in the 1700s and so on. This way, information drip-drips out to the reader. But it must get to them as it’s the foundation to the whole story. 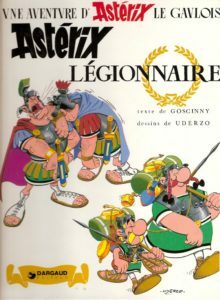 Channelling Asterix the Gaul, in INCEPTIO I used the device of the heroine laughing at little cartoon figures wielding swords in a Roma Novan children’s book as a way to slip in some back story. Closely connected to this is the need for characters to live naturally in their world. Possibly weird to us, it’s perfectly normal to them, so they don’t go around explaining things to each other. Only when it’s a part of the story, something fundamental changes or a stranger is in town can a writer slide in some background explanation. 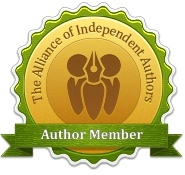 Like any other story in any genre, there must be a purpose to the book. It can’t be “Look at this new world I’ve invented, aren’t I clever?” Are we going to learn something, be entertained and/or encouraged to think? Do we gasp when the main character walks into danger? Are we rooting for her when the bad guy/system is against her? Or when her lover walks out? Do we care? If we don’t, then the clever althist world isn’t enough to save the book.